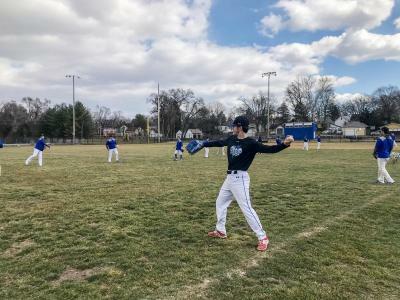 The crack of the bat and cheers of the crowd have returned to Chambersburg’s iconic Henninger Field, now home of the Wilson College baseball team. 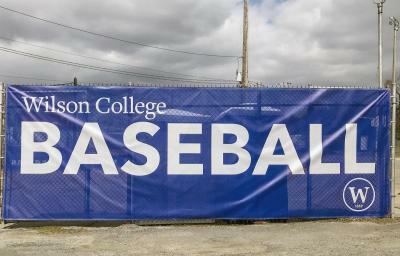 On Saturday, April 6, college, state and local officials and guests will dedicate the field and celebrate the team’s inaugural season, as well as officially open an 18-month commemoration of Wilson’s 150th anniversary. The Sesquicentennial celebration will kick off with the hour-long April 6 dedication ceremony at 11 a.m. at Henninger Field, 241 W. Vine St., recognizing the storied field as the official home of the Wilson Phoenix. The ceremony will be followed by a doubleheader between Wilson and the Clarks Summit University Defenders. State and local officials have been invited to participate in the dedication, including State Rep. Rob Kauffman (Pa. District 89), who will read a proclamation marking Wilson’s 150th anniversary. Local baseball luminaries or their families have also been invited to attend, including descendants of the late Clay “Pop” Henninger─the Chambersburg businessman and baseball promoter for whom the field is named–and the family of the late Nellie Fox, a Major League Baseball Hall of Famer from St. Thomas, as well as representatives of the Nellie Fox Foundation. In addition, Wilson alumni, students, parents and friends of the College are expected to attend. Before the game begins, vocalist Corey Evan Rotz will sing the National Anthem. Rotz, a Chambersburg native, has had a widely successful singing career, performing regularly with the Kennedy Center’s Washington National Opera. In addition to his singing career, Rotz is a voice instructor at the Cumberland Valley School of Music. Wilson has a 10-year lease agreement with the borough for the exclusive use of Henninger Field. Under the agreement, the College made approximately $250,000 worth of improvements to bring the 124-year-old field into compliance with NCAA specifications for baseball. The borough also completed some updates to the field’s public restrooms, moved electric lines and removed trees, according to college officials. Henninger Field is steeped in local baseball lore. From its opening in 1895 until 2010, organized baseball was played at the field, where other sports contests have been played as well, including Chambersburg Cardinals football games and Chambersburg Area Senior High School’s Trojan football, baseball and soccer teams. Over the years, the field reportedly was even the site of horse shows, circuses and fire department drill competitions. The most famous baseball game played at Henninger Field took place the afternoon of May 31, 1929, when the New York Yankees played an exhibition game against the club’s farm team─Henninger’s home team, the Chambersburg Young Yanks. Baseball greats Babe Ruth and Lou Gehrig played for the Yankees that day and in the fifth inning, Ruth thrilled the crowd when he lofted a three-run homer over the center field fence.